On a hot day in June, a jury convened to review nearly 400 entries to The Architect’s Newspaper first Best of Products competition. Submissions, divided over eight categories, abounded in new materials and exciting technologies, provoking a lively dialogue during the evaluation process. Colin Brice of Mapos, Barry Goralnick of Barry Goralnick Architects, Harshad Pillai of Fogarty Finger Architecture, and architect Alison Spear generously contributed their considerable expertise and insight to the judging. The complete roster of winners can be found in our just-published print edition, and online here. 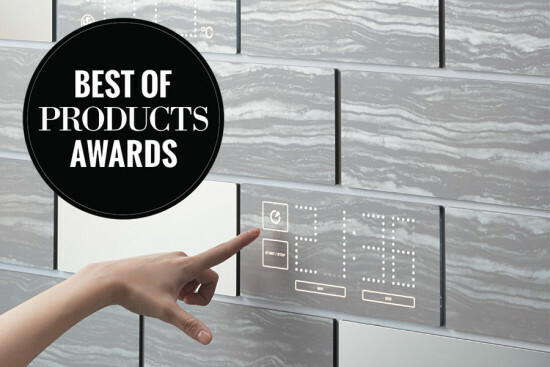 In this final installment of reporting the competition results, we recognize four products as Visionaries. Whether a prototype or already in production, these pieces caught the jury’s attention for their pursuit of pure design ideals. In a life overloaded by interfaces—our homes and offices are filled with thermostats, light switches, appliances, and equipment—it’s become a challenge to balance these sundry controls with the often beautiful surfaces on which they’re installed. Wall Tile seeks to resolve that situation. 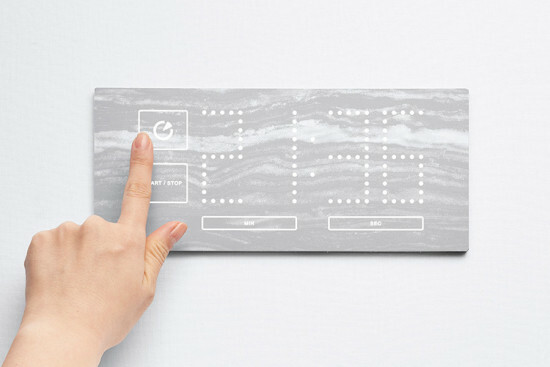 Utilizing “dead front” printing technology, where control panel graphics become visible only when activated by a user, surfaces are unmarred by ganged outlets and plates. Capacitive sensors would enable touch/swipe gestures and pinch functions. The spout of this kitchen faucet rotates a full 360 degrees in either direction, allowing unfettered design flexibility. 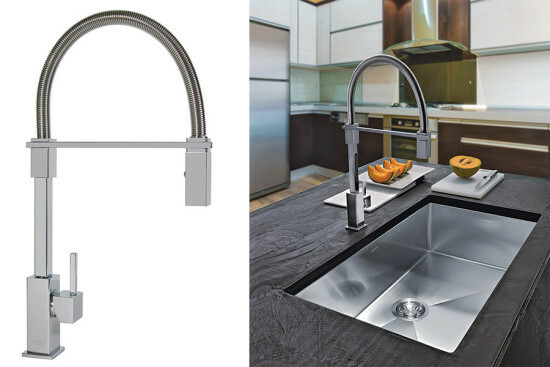 Available in two finishes, polished chrome and satin nickel, the faucet also has a dual-jet, lock-in-place spray head. 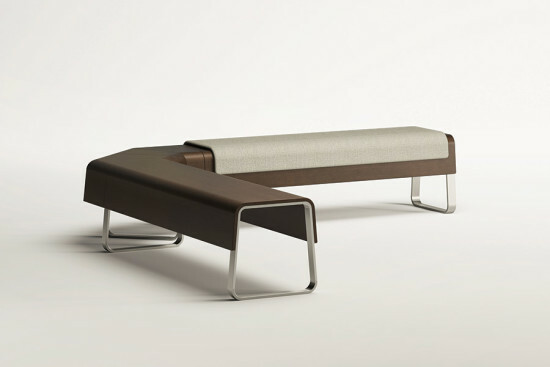 Speaking about his Cheval Bench/Table, designer Wout Speyers muses, “What determines a piece of furniture’s function? Is it the environment, or its use in the environment? Cheval blurs the borders between these fixed conventions. What appears to be a bench turns out to be a side table in a different setting, or a coffee table. Its function is defined not by its environment or its prescribed purpose, but by the user and how they interact with it.” The collection comprises four size options: 20 inches, 40 inches, 60 inches, and a corner unit. Made of ash wood with polished aluminum legs, upholstery options add to the transformative power of the furniture. A solid-state Tesla coil generates a field of electricity that allows the individual fluorescent tubes in this wall fixture to illuminate without wired connections. 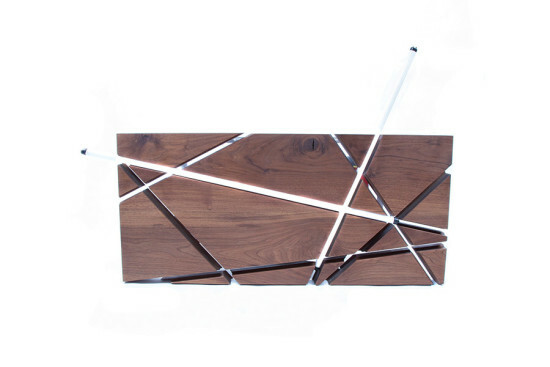 The lamps can be repositioned within the grooved walnut or mahogany panel. Designed by Vedat Ulgen.